Directly to Indonesia furniture manufacture, Java furniture supplier products, Wholesale furniture supplier, furniture factory from Asia. Piguno Indonesia offers furniture for hotels, Indonesia fitting furniture, Interior furniture projects, Hospitality furniture supplier, furniture for restaurants projects, furniture projects for villas, furniture for apartment, furniture for SPA. 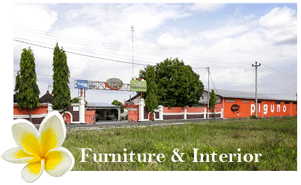 Piguno are Indonesia furniture directly from Indonesian furniture manufacturer, furniture supplier and exporter based in Solo, Central Java. We are also exporter of indoor teak furniture to modern outdoor furniture, furniture for hotel project, decorative lighting, home decor & handicrafts at a competitive wholesale prices with high-quality furniture products for homes, restaurant, resorts, villas, apartments, hospitality, private house and hotel projects (FF & E). Furthermore, many different types of furniture available in Indonesia such as Java teak furniture, Indoor mahogany furniture, Outdoor furniture Indonesia, indoor teak furniture, contemporary modern furniture, Javanese furniture, reclaimed teak furniture, colonial furniture, Jepara classic furniture, Carved furniture, teak root furniture, teak branch furniture, Synthetic rattan furniture, Alloy casting furniture, solid teak furniture, stainless steel furniture, kids furniture, wooden furniture, rattan furniture, leather furniture, solid wood furniture, Old Javanese furniture, also fitting furniture for private furniture projects, read . Welcome to www.piguno.com wooden & rattan furniture supplier in Indonesia ….. For all retailers, wholesalers, owner shop, projects manager, Interior design, importer, buying agent, trading company, private house, hotelier, and others … finally, we are your partner furniture manufacturer in Asia. More about Piguno. Also, we sell teak furniture in local retail shop, Solo & Jakarta city …….. Therefore, if any inquiry about our products and services … don’t hesitate to contact us! Piguno Indonesian furniture manufacturer has over 20 years of experience in contract design furniture, volume manufacturing and in developing specialized finishes for international clients. furniture manufacturer from Indonesia. We receives custom furniture design, decorative lighting and Indonesian craft based on customer design in terms of size, style and material for your hospitality projects. Indonesia custom furniture designs. We understand the varied needs of the hospitality furniture industry and can develop with you the special finishes, textures and materials you need. Indonesia contract furniture design. All of you are welcome …. If you have any hotel furniture projects or have inquiry any Interior furniture design, don’t hesitate to contact us, we will get back to you soon, Let’s work together, no projects too big or too small. Aside from that, the rapid sale of Indonesia furniture to worldwide markets including to the importer, wholesaler and retailer of furniture that has become a regular customer of PIGUNO and we also doing some series of hospitality furniture projects both locally and worldwide, that is why we conclude that in every new hotel built definitely need good furniture. That is why Piguno Hotel and Resort furniture project exists to supply hospitality furniture. With world growth in many sectors including businesses around the world, this has good consequences for supplying furniture for hotels, restaurants, resorts, villas, residences, apartment and public facilities. We also do hotel furniture projects both locally and globally, which is why we conclude that in every new hotel that is built it definitely needs good furniture. For the reason that Piguno Hotel and Resort furniture project exists to supply hospitality interior furniture. Furniture for hotel. Piguno furniture proudly present our serious commitment by supplying the finest Indonesian furniture for hotel and resort projects with our nine warehouses, therefore we always providing Indonesia furniture in various range of materials, products and design both indoor furniture and outdoor furniture, also wooden furniture, rattan furniture, decorative lighting & Indonesia handicrafts. More about furniture blog. Therefore, we do believe it would give you wider range for a better choice. Furniture for hotel projects. No projects too big or too small, please contact us.